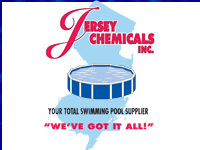 10% Jersey Chemicals, Inc. is a retail facility located in Paterson, NJ that sells swimming pools, pool chemicals, equipment, and all other associated supplies needed for the upkeep of your swimming pool. Jersey Chemicals is also the largest distributor of ice melt products. We pride ourselves on being your “total swimming pool supplier” for more 40 years. Anyone who purchases Jersey Chemicals, Inc. script from Temple Beth Sholom will then be provided with a “premier customer” card entitling them to an additional 5% off on purchases made within our store. This product was added to our catalog on Friday 28 August, 2009.